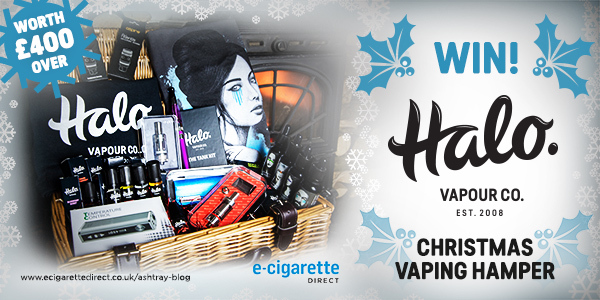 Giveaway: Halo Xmas Vaping Hamper! The giveaway is now over! Congratulations to Andrew Davies from Bridgend who won. And thank you so much to everyone who entered! 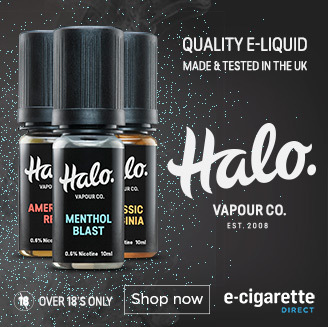 The EU are banning e-cig giveaways from next May. So we wanted to do the best giveaway we could think of. to cheer the heart and decorate the hearth. (Our main problem this time has been getting everything into the hamper! Entering is simple, free and takes seconds. Plus, if you share the link, you can get another three chances to win for every friend who enters. Talk about a blog in the smog ! E-Cig me baby and my head will be in the clouds all Christmas . 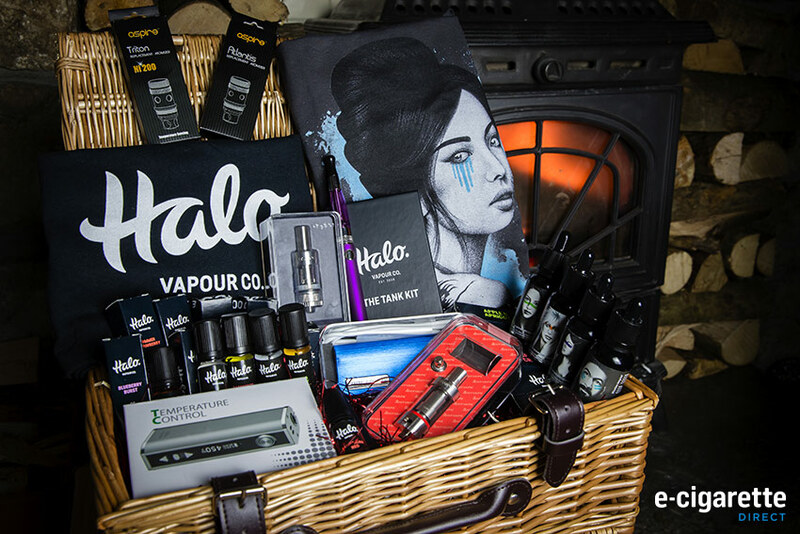 What a vape-tastic xmas hamper which is sure to guarantee a great Halo New Year.